by Jake Maines on September 22, 2017 . Web-based businesses are being created everyday, but for them to succeed, they need to fully understand how SEO works. The SEO process is constantly changing, but there are several strategies and tools that aren’t going anywhere. SEO is an acronym for Search Engine Optimization, which is the process of ensuring that a web page appears at the top of the list of results returned by a search engine. The ultimate goal of SEO is to generate leads that will turn into sales, which can only happen when a prospect clicks your link. The higher your link is on the page, the greater the chance that your link will be clicked. In most cases, SEO will not generate leads instantly. But when executed properly, SEO can have a very high return on investment. Keep in mind that testing and tweaking the content, meta tags, and keywords will take time, but it’s all worth it when the search engines have bumped your web pages to the top of the results page. The following information will outline how SEO works on the most popular search engine, Google. The first thing to do is set up Google Analytics tracking code on your website to identify the number of visitors and how they are interacting with your website. Some pertinent components to analyze include: how visitors got to your site, which pages they came in on, which type of device they used, how long they stayed on the site, and from which page they left the site. 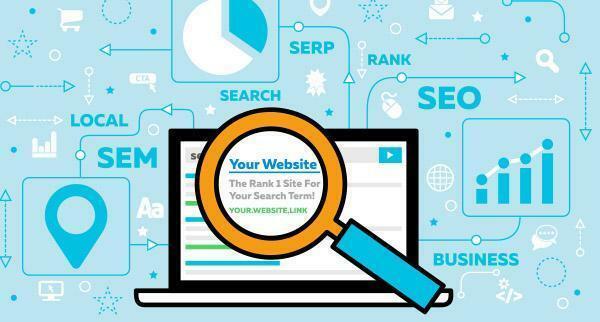 Reviewing this collected information allows you to understand how your traffic relates to the rank of the respective web pages and begin improving your SEO strategy. For example, if visitors are clicking through to a web page from a Google search result and immediately leaving, Google will begin to see the page as unrelated to the search term and display the result less often. Factors that could be affecting visitors leaving before interacting with the site could be the content itself, the mobile friendliness of the site, or the lack of call to actions. Correct or remove things (e.g. create more relevant content or remove misleading text) that are causing visitors to exit and make it as easy as possible for a visitor to convert into a lead. Google will also begin limiting the amount of times your web page is displayed if your page is appearing in search results, but click throughs are low. If your content is related to the search terms, the click through rate is likely low because the meta description you have entered doesn’t capture the searchers’ attention. To improve this situation, verify your website on Google Webmasters Tools to identify the click through rate for each of your pages. It is also important to use Google Webmasters Tools to submit your website’s sitemap each time a new piece of content is added so that Google will crawl the page and add it to search results. The sitemap ensures Google is aware of each page on your website. Another key feature of Google Webmasters Tools is the ability to view keywords that people are entering into Google to find your website. There may be a variety of keywords that you have never even considered that are leading prospects to your site. You can then incorporate these keywords into the next article on your blog or the reoptimization of existing low-performing content. When choosing keywords, always remember to pick ones with a high number of monthly searches and low competition. Google Adwords Keyword Planner will provide this information, along with an impressive number of keyword suggestions. Typically, each page on your website should have one well-defined keyword phrase. The title, URL, headings, alt tags, link text, and meta tags should include the keyword phrase or a variation of the phrase in order to ensure the page is optimized to rank first in Google search. Before you publish a new post, complete the structured data schema to help Google categorize and index your content. Search engines are then able to generate rich snippets, which are small summaries of information that will appear in search results to give users a preview of the content they will see when they click through. A few final suggestions to maximize your SEO efforts include: make sure your site is secure with a current, valid SSL certificate; increase your site speed by reducing the size of images; create consistent content with the intent of always providing value. By implementing these suggestions and using the wealth of information provided by Google tools, you can boost the value of your SEO efforts to help convert your website visitors into paying customers.